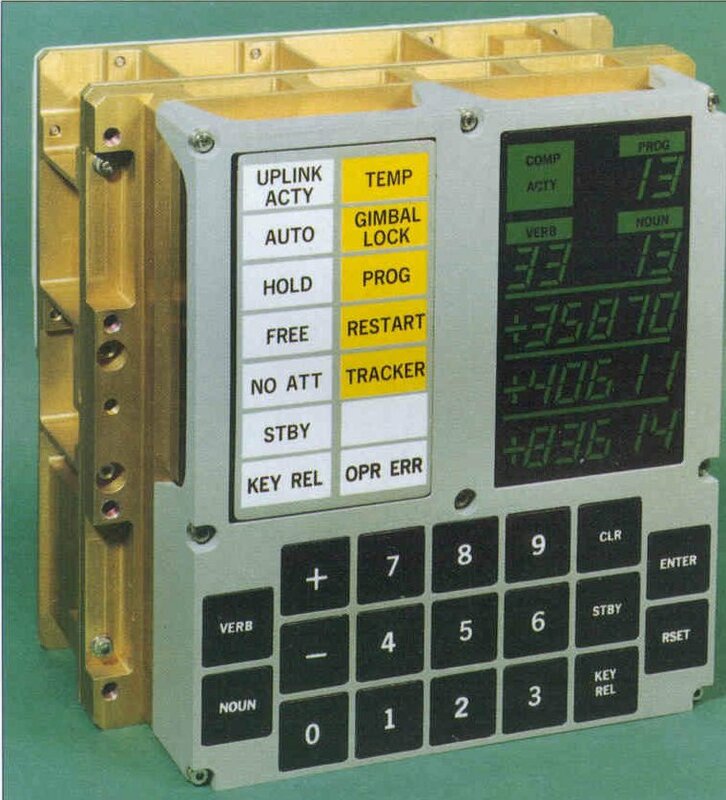 AGC - Visual Introduction to the Apollo Guidance Computer, part 2. 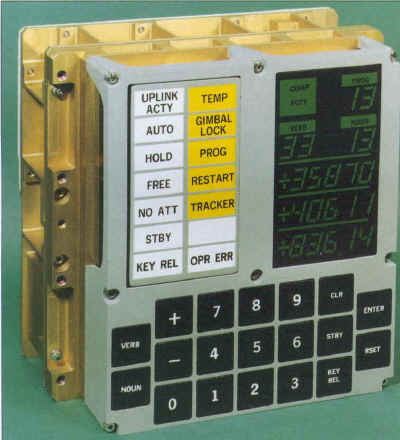 Visual Introduction to the Apollo Guidance Computer, part 2. The AGC employed an innovative user interface, known as "DSKY" for "display keyboard." Using a "noun-verb" interface, the astronauts could enter a variety of commands into the system, along with their relevant parameters. 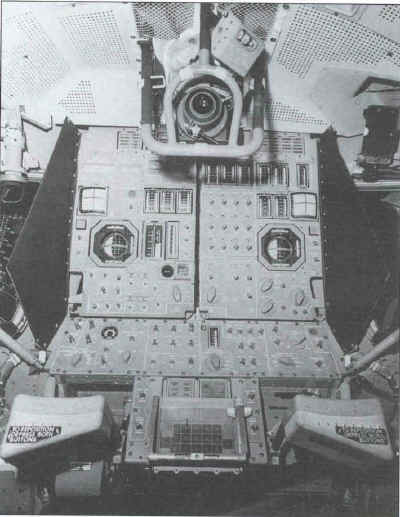 Note how the unit is sealed against the moisture and corrosive atmosphere inside the command module. Photograph © Raytheon, from the files of Jack Poundstone. 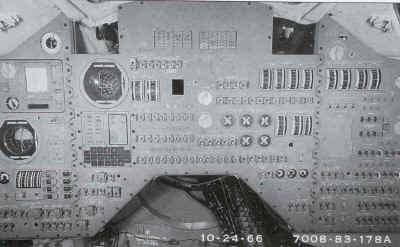 The instrument panel of the command module. Note the DSKY interface to the left of center. © The Charles Stark Draper Laboratory, Inc. 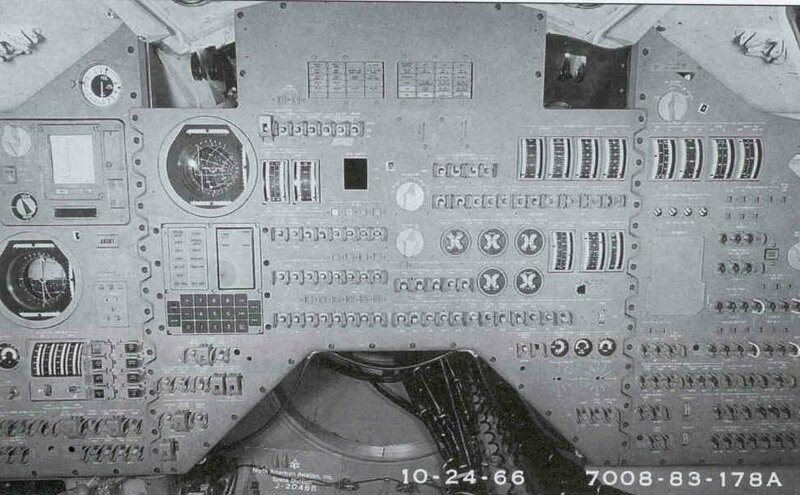 The instrument panel in the LEM. Note the DSKY at bottom center.